When MGM Resorts International bought out long-time partner Boyd Gaming Corporation’s interest in the Borgata Hotel Casino & Spa in August 2016, the industry leading global hospitality, casino and entertainment company immediately expressed an interest in launching an MGM Online Casino and Poker site in New Jersey. Those plans became a reality in August 2017 when MGM full launched their online casino. $25 in free play, no deposit required. 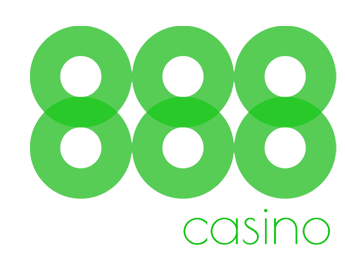 100% up to $2000 in free play on your first deposit. These are generous bonus amounts, but it should be noted that they come with one of the highest play-through requirements – 20x – of any bonus in New Jersey. The MGM online casino in NJ operates on the same casino platform as Borgata and Party Casino. If you’ve played at either of those sites, you’ll have a strong idea of what you’re in for at MGM. MGM Online Casino NJ offers a comprehensive online casino and poker client that should be easy to navigate and pleasing to the eye. 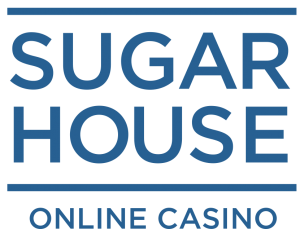 There’s a no-download browser-based interface available for all PC and Mac users that represents cutting-edge online casino and poker technology that is available across all platforms, including Safari, Google Chrome, Mozilla Firefox, and Internet Explorer. Of course, players will be expected to install a geolocation plug-in to make sure the site can tell they are inside New Jersey state borders when they play. MGM Online Casino NJ has also rolled out out a mobile application for both Android and iOS devices to make sure players can access the casino and poker clients wherever they are inside New Jersey. Like most mobile casino and poker apps, the MGM Online Casino NJ app has a few less features and games than the desktop version. Using the experience Borgata already has in the New Jersey online casino and poker markets, MGM Online Casino NJ makes sign up a relatively quick, easy and painless process. Once it’s proven a player is 21 and located in New Jersey at the time, they should be able to start playing. However, like many other sites on the market, MGM Online Casino NJ may require some additional information to verify player identity. This may include additional identification, bank statements, or utility bills and a copy of a current driver’s license. The MGM brand is always above board and any and all additional security measures used are there for the players protection and to ensure the site meets with all of the New Jersey Division of Gaming Enforcement regulations. The Golden Nugget Casino and Resorts Casino have been in a battle to offer the New Jersey online casino industry’s largest selection of games over the past few years. MGM isn’t reaching the levels set by those casinos, but there are a number of games available at the brand’s NJ online casino. MGM Online Casino NJ offers many of the same popular video poker games available at all of its brick and mortar properties across the United States. The Borgata online poker room in New Jersey is run through a partnership with bwin.party, now GVC Holdings, and uses the same software as partypoker. The two sites also share a player pool and the MGM Online Casino NJ uses the same software and shares the same network. Borgata and partypoker each run its own promotions however, and the MGM Online Casino NJ does the same. In addition to offering extensive bonuses and promotions to try and grab some market share right out of the gate, MGM Online Casino NJ includes a connection to its existing M Life Rewards program, already available at all of MGM’s brick and mortar casino properties. MGM’s M Life Rewards program is free to join and offers the opportunity to earn reward points reedemable for hotel, dining, entertainment and gaming activity at any one of 16 MGM Resorts International destinations across the United States. M Life Rewards members enjoy exclusive MGM experiences, discounts, offers and benefits and MGM Online Casino NJ is expected to allow online players the chance to continue earning these reqards with online casino play. M life members earn rewards for every dollar they spend at MGM properties and should have the ability to continue to do so at the MGM Online Casino NJ. In fact, MGM Online Casino NJ is expected to include a seamless transition for M Life Rewards members playing online and off. Online casino and poker players should be able to earn comps, point play and free play reedeamble online or at MGM Resorts International hotels, dining outlets, or entertainment venues, they same way they currently can at the organizations brick and moirtar casinos. Depositing on MGM Online Casino NJ includes most major credit cards and payment processors, making getting money on the site as easy as can be. As one of the top hotel, casino and entertainment organizations in the industry, MGM International are experts in customer service. The MGM brand name already conjures up images of the biggest and best in the Las Vegas casino and hotel industry. Taking 100 percent ownership of the New Jersey market leading Borgata Hotel Casino & Spa only serves to strengthen that image on the East Coast. MGM isn't exactly in the New Jersey online gaming sphere just yet, but when it does arrive, one can expect its offering to be as big as that name brand suggests. It's highly likely MGM Online Casino NJ will offer just as many online casino games as any of its direct competitors, if not more. The quality of its games and overall product will likely be second to none. Expect all the best online slots, blackjack, roulette, and video poker variants with titles that are popular elsewhere and those that can only be found exclusively at MGM online. There seems to be little doubt MGM will offer up an online casino and poker product worthy of its name, making it immediately second to none in New Jersey's online gaming market.